As the population and size of Airdrie continues to experience rapid growth, being able to get around easily and conveniently is very important. Buying a new car makes very little financial sense to most people who cannot afford to endure the estimated 11% of value that a new car loses the moment that it leaves the lot (that’s without even mentioning the 10% of value that the new vehicle will lose in its first year). 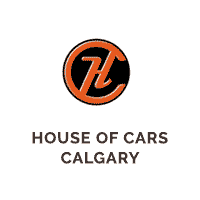 Most people are looking to buy second-hand and when it comes to used cars Airdrie residents have to look no further than House of Cars. We are a local company that takes our mission to deliver quality used cars very seriously. In fact we would like to share what services and features we offer in our relentless pursuit of the best possible outcome for our customers. How many cars will you consider throughout your search? Searching for the correct used car while being constantly vigilant in terms of keeping an eye on any deficiencies or weaknesses can be totally exhausting. This is why trusting a professional used car dealer like us is important. We can offer you access to our inventory of over 400 vehicles. Each one of our vehicles – whether it’s a car, SUV, coupe, truck or van – offers the same level of quality for you. Many people are understandably concerned when it comes to purchasing a second-hand vehicle. Many of us have heard the stories about people purchasing a used vehicle only for it to break down within a short amount of time and leave its owner in a difficult situation. At House of Cars we believe that this situation should never happen to a person. This is why all of our vehicles are CARPROOF. These reports are generated by the Canadian company of the same name and give owners of used vehicles an entire overview of the history of their vehicle. In addition we also take great pride in the thoroughness of our car inspections. Each one of our vehicles has a full body mechanical inspection performed on it and is covered by post-sale warranty. We offer all of these services to protect your vehicle and give you the strongest peace of mind possible. We believe that every resident of Airdrie should be able to travel in comfort, use a vehicle that fits with their needs and tastes, and keep their passengers safe. This is why we go to great lengths to make sure that we offer the most competitive and flexible financing options to our customers. To achieve this we work with over 20 lenders. We make it our mission to find a way to get our customers the best and most affordable price for their dream used vehicle. In fact we have an intuitive online tool where our customers can estimate their payments. You will find our team to be personable and friendly throughout the entire process. We are all united in our mission to get the best possible vehicle for our customers. If you would like to work with us feel free to give us a call today or fill out our online form and we will get back to you in no time.